Did Comets Create the Earth’s Oceans? Did the Earth form with water locked into its rocks, which then gradually leaked out over millions of years? 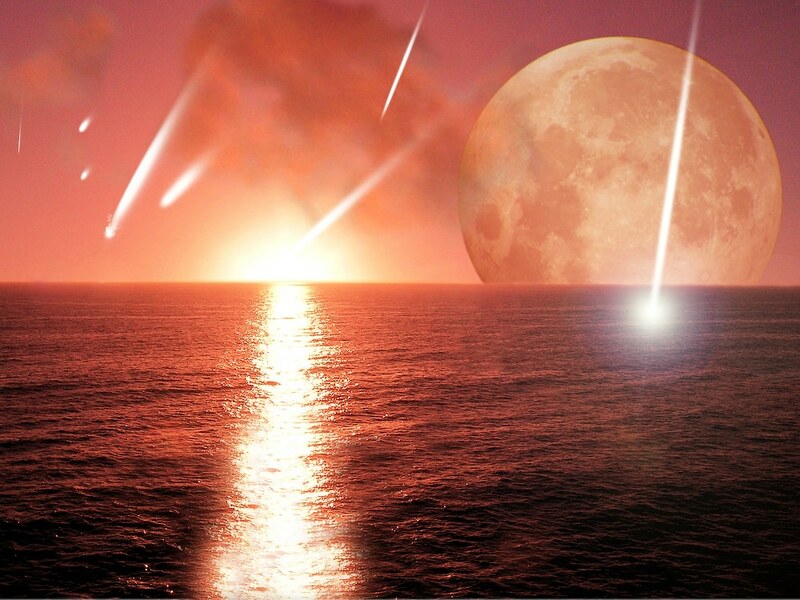 Or did the occasional impacting comet provide the Earth?s oceans? The Ptolemy experiment on Rosetta may just find out? The Earth needed a supply of water for its oceans, and the comets are large celestial icebergs – frozen reservoirs of water orbiting the Sun. Did the impact of a number of comets, thousands of millions of years ago, provide the Earth with its supply of water? Finding hard scientific evidence is surprisingly difficult. Ptolemy may just provide the information to understand the source of water on Earth. It is a miniature laboratory designed to analyse the precise types of atoms that make up familiar molecules like water. Atoms can come in slightly different types, known as isotopes. Each isotope behaves almost identically in a chemical sense but has a slightly different weight because of extra neutrons in its nucleii. Ian Wright is the principal investigator for Ptolemy, an instrument on Rosetta?s Philae lander. By analysing with Ptolemy the mix of isotopes found in Comet 67P/Churyumov-Gerasimenko, he hopes to say whether comet water is similar to that found in Earth?s oceans. Recent results from the ground-based observation of another comet, called LINEAR, suggested that they probably are the same. If this is true, then scientists have solved another puzzle. However, if the comets are not responsible for Earth?s oceans, then planetary scientists and geophysicists will have to look elsewhere. For example, the answer could be closer to home, through processes related to vulcanism. Also, meteorites (chunks of asteroids or comets that fall to Earth) have been found to contain water but it is bound to the minerals and in nothing like the quantity found in comets. However, since the Earth formed from rocks similar to the asteroids, it is feasible that enough water could have been supplied that way. If comets did not supply Earth?s oceans then it implies something amazing about the comets themselves. If Ptolemy finds that they are made of extremely different isotopes, it means that they may not have formed in our Solar System at all. Instead, they could be interstellar rovers captured by the Sun?s gravity. Rosetta, Philae and Ptolemy will either solve one scientific mystery, or open another whole set of new ones.